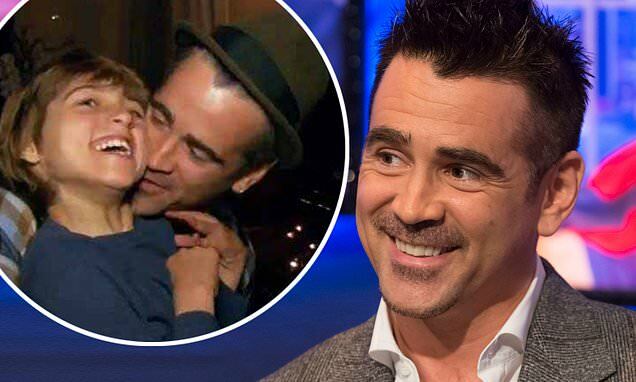 He took time off from acting to spend time with his sons - but Colin Farrell says they were the ones sending him packing again. The Hollywood actor joked about his eight months at home with nine-year-old Henry and 15-year-old James but admitted it was 'hard to keep up' with his boys. Colin, 42, also spoke about his sobriety as he joined guests including Danny DeVito on this week's The Jonathan Ross Show. He added: 'Do you know what, every now and then I meet someone I would love to get drunk with. It's almost been a year since Colin checked into an Arizona rehabilitation centre as a 'preemptive measure' to maintain his sobriety last April. He had given up drugs and alcohol 13 years previous, saying he 'could never find the handbrake'. And after some time away from the spotlight, Colin returns in the live action remake of Dumbo, alongside DeVito. Talking about his recent break Colin revealed: 'I took eight or nine months off. It was nice to be home with the lads.